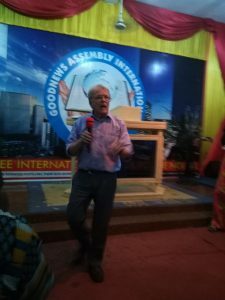 For a couple of years it had always been intended for Call2come to visit Togo, but had not been possible until now, and so with great expectation in what the Lord had prepared for Togo we flew to the capital Lome, arriving in the evening of Wednesday 21st March. 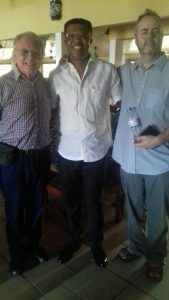 On arrival we were met by apostle Henry part of the Call2come international team and serving the Lord in Togo. 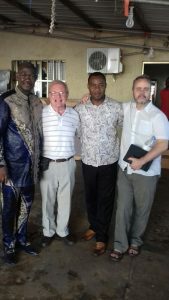 For the first couple of days there was the opportunity to meet a number of key leaders of the Togolese church, and we were able to share the Call2come vision and the second coming of our Lord Jesus Christ as the Bridegroom King. 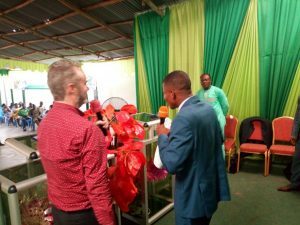 We also had opportunity to share the prophetic word for the nation (See prophetic word for Togo) We were delighted that in each case the message was warmly received, with a consensus to work together in Togo in helping to prepare the bride. 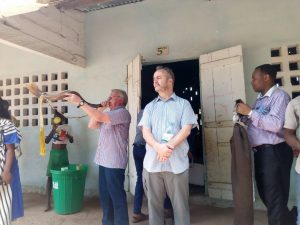 It was also a real privilege to be taken to a missions school in the capital doing such a great work in educating hundreds of children. 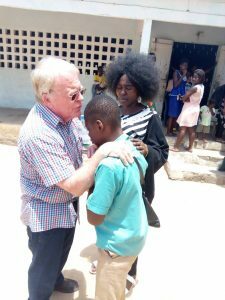 Whilst there we were able to pray with the staff and also took time with the children. 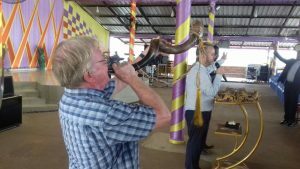 Howard blew the shofar which the children loved and had possibly had never seen before, and Mike prayed for them and prophesied about their future. On the Saturday, it was an opportunity to relax and spend some time on the Atlantic coast. Having just come from the UK with freezing temperatures, snow and ice, the contrast of a warm sea and a very humid 30 degrees centigrade was too good an opportunity not to be missed, so both Howard and Mike waded into the ocean to wrestle with the large breakers hitting the shore. That night brought a dramatic tropical storm with large peals of thunder and flashes of lighting all around us. The rain poured down heavily and was running into the apartment we were staying in like a river. This was around 23:00 at night so not wanting to disturb anyone we decided to bail out the water flooding through the walls with a dustpan and brush. 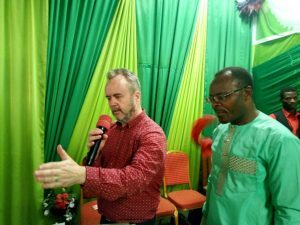 But the water was coming in too quickly, so instead we decided to retire for the night and trust the Lord and thankfully, the following morning much of the water had disappeared. 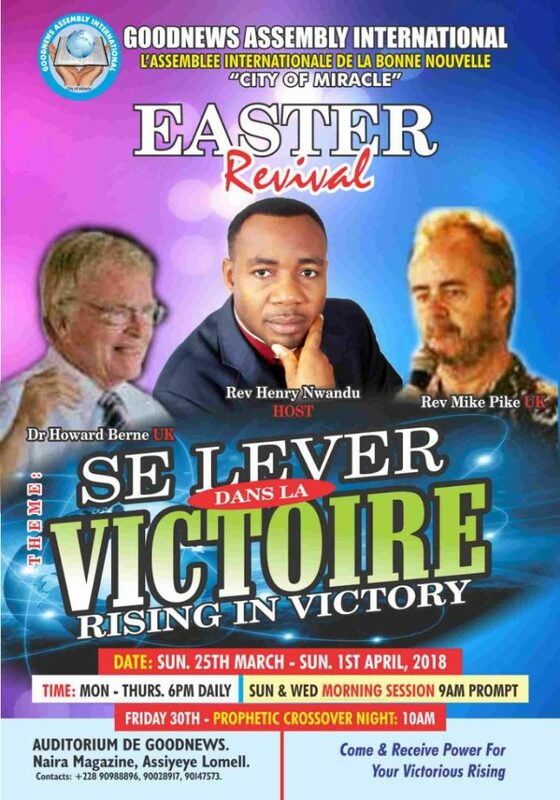 That Sunday (Palm Sunday) had a busy itinerary, Howard shared twice at Prophet Do Fia’s church with a mighty outpouring of the Holy Spirit during an altar call in which a vast number of people came forward for prayer, whilst Mike was whisked away to speak at four different churches, starting out in a nearby village and then coming back into the city to speak at the other churches and finishing at Apostle Henry’s church. 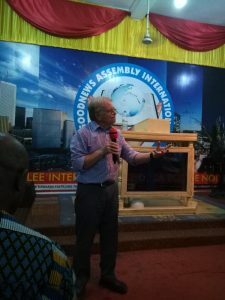 Monday 26th March was the main event in which Henry and his team had organised A Call2come summit for the leaders in Lome. 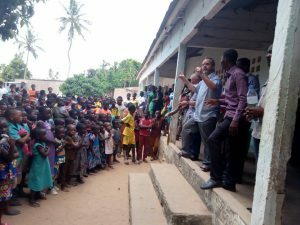 Many leaders came to hear the Call2come message and there was such an open heaven, and receptivity to the Word of God, which indicates how ready Togo is for this new move of the Lord. 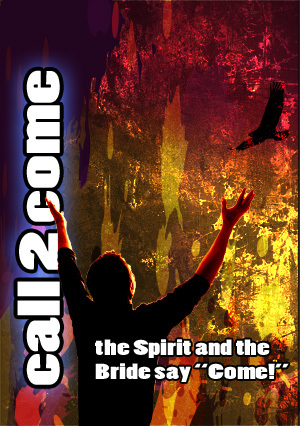 During this summit, Howard blew the shofar to prepare the way for Mike to deliver the prophetic word for the nation. 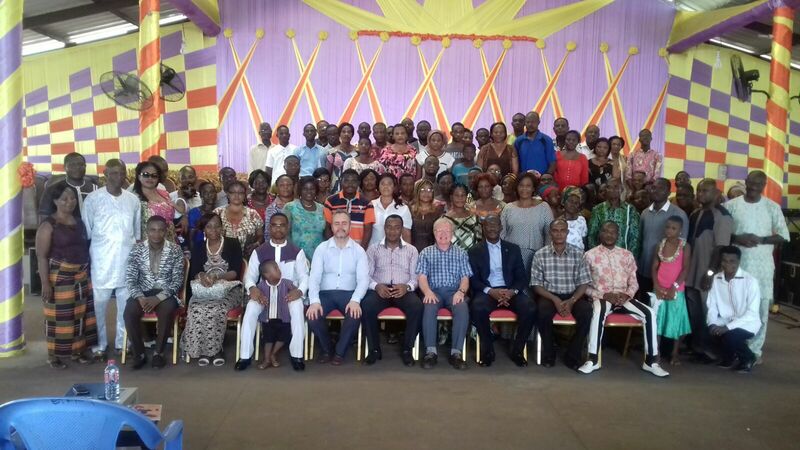 The summit was a tremendous time together and we really want to thank Apostle Henry and all those who are involved in putting together this very significant and fruitful programme. 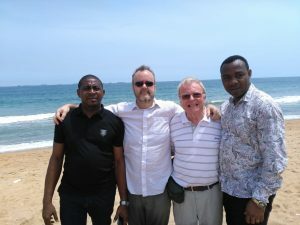 Our time in Togo was a great joy and we love the spirit and nature of the Togolese people. They have suffered so much, but their hearts are grateful to the Lord and their beauty shines through. 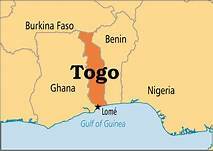 The Lord indeed is here and Togo will come into her destiny. 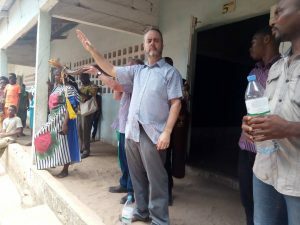 The following day (Tuesday 27th March) it was time to say goodbye and head for the Ghana border. But there was one more thing which needed to be done before we felt the mission had been completed, and so whilst on route to the border we asked apostle Henry if there was a national centre of importance or clock tower beside which we could blow the shofar and declare over the nation, for a synchronisation of Togo’s time to Heaven’s time, an alignment of “on earth as it is in heaven “. 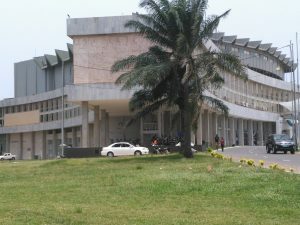 So Henry took us to a key centre and representation of Togo as a nation which was their national assembly buildings and site. Upon arrival we were ready to jump out the vehicle, blow the shofar and make the declaration, but Henry was most concerned for our safety, saying that we would be arrested! So before allowing us out of the vehicle, he went off to gain permission whilst we prayed for permission to be granted. 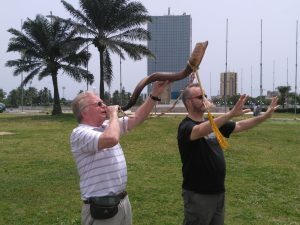 A few minutes later we had the green light to proceed so faced the North, South, East and West to blow the shofar and declare prophetically over the nation. 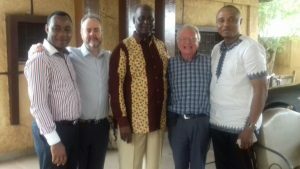 And at that point we heard in our Spirit “Mission complete” and so with peace continued to the Ghana border, having confidence that the work and message here would continue to spread. 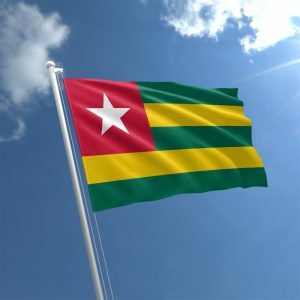 Togo we love you and by God’s grace shall return.